Students are introduced to the physical geography of Chile, Argentina, and Peru. 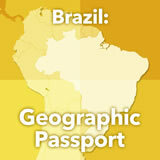 They create a geographic passport of the three countries. Then they focus on the Andes Mountains, the Pampas, and Patagonia and the physical features, the climate, and the human population in each region. Students then pick a location in the region that they would like to visit and they explain why. 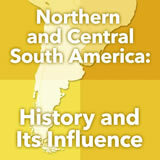 In this experience, students are introduced to the physical geography of Chile, Argentina, and Peru. 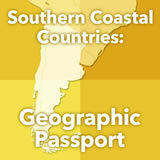 They create a geographic passport of the three countries. Then they focus on the Andes Mountains, the Pampas, and Patagonia and the physical features, the climate, and the human population in each region. Students then pick a location in the region that they would like to visit and they explain why. Divide the students into three large groups for scenes 2 and 3, and assign each group one of the countries: Chile, Argentina, or Peru. Students can do the research individually, in pairs, or in small groups, but each student should post individual responses. 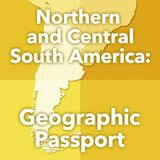 Describe the physical features, climates, and ecosystems of the Andes, the Pampas, and Patagonia. 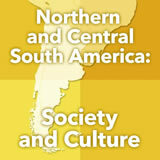 Trace land and resource use patterns in the Andes and the Pampas, and analyze the ways people have adapted to the region’s physical environment. In the South American country of Chile you will find the driest place on Earth—the Atacama Desert. The well-known rhythmic dance form of the tango originated in the South American country of Argentina. The potato is originally from the South American country of Peru. In this experience you will learn even more about these three Southern Coastal countries of South America. 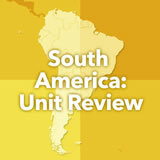 Describe the physical features, climates, and ecosystems of the Andes and the Pampas. See if you can locate and label Chile, Argentina, and Peru on the map below. If you can’t, do a quick search online to find them and label them. Can you name any facts about the three countries? If so, write one of them in the table below. If not, write a question you have about each country. Note that you can sort the table—for example, by country or by student—by tapping the column head above the desired sort key. Discuss the various facts or questions that students have as a lead-in to the rest of the experience.